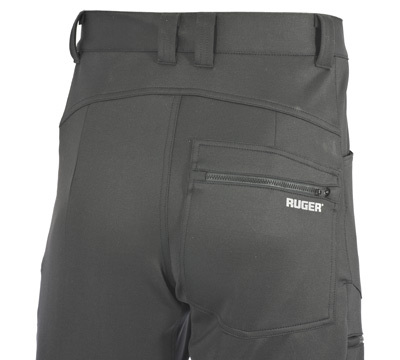 This Ruger branded pant is comfortable and rugged that is tailored for comfort in any position. 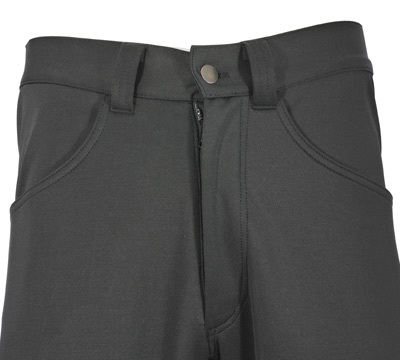 Pant is made of a 4-way stretch interlock spacer fabric that conforms to the body. Features include integrated Outlast® phase-technology to assist regulate core temperature within optimum ranges without adding bulk. 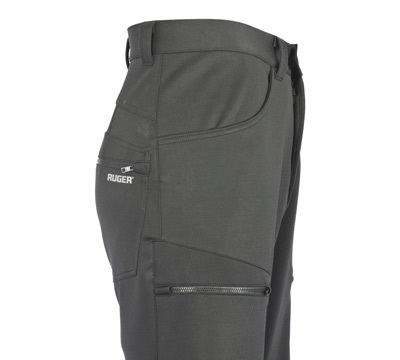 ; the Stealth-Tex™ finish ensures silence; medical grade anti-microbial treatment neutralizes odor by preventing the growth of odor-causing bacteria and fungi; exceptional wind and weather resistance are combined in a breathable and weatherproof exterior. 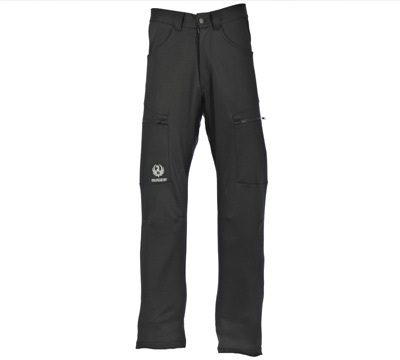 Pants have zippered cargo pockets and back pocket store essentials with jean cut pockets for accessibility. 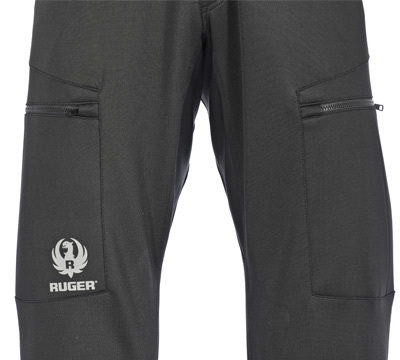 Made in the USA by Go Wild®.